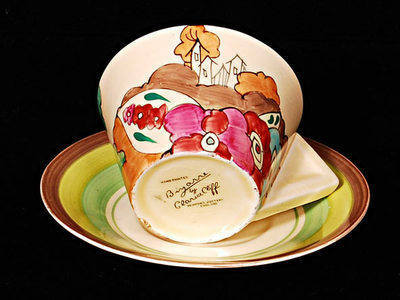 Conical shape cup & saucer in the Alton pattern. . No damage or restoration. Both pieces signed Bizarre by Clarice Cliff. Price £365.